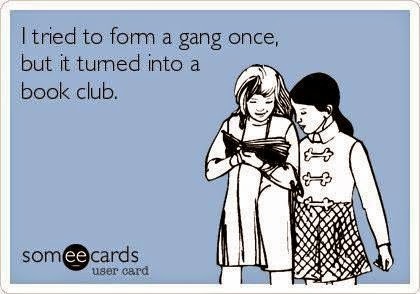 My relationship with my book club has been rocky recently. A few of us made a last ditch effort to get something that sounded more likely to be a hit voted in and make a move away from the stodgy books that we were all trudging through and away from the books that people seemed to be nominating just because they’d found a musty copy on their shelves. We all went armed with a list of books that were books that we would have picked to read on our own. I know that reading for a book club is partly about expanding your horizons but sometimes it’s nice just to read a fun book and have a bit of a gossip about it. The shortlist for this last meeting (I never know if that’s the right word – it sounds so formal!) was easily the best that we’ve had in ages. The Lie Tree by Frances Hardinge, Our Endless Numbered Days by Claire Fuller, The Versions of Us by Laura Barnett and And the Mountains Echoed by Khaled Hosseini. I would have happily read any of them, although I’ll admit that I wasn’t necessarily in the mood for the Hosseini. The Lie Tree swept to victory. What was comforting was that it clearly wasn’t just me that was dying for something a bit pacier to read and talk about. We went from a core of four attendees to a livelier seven and I think our average age dropped by a good 10 years! It was nice to have more people sat around the table in the pub and everybody had plenty to say about the book. The session (nope – still not the right word) was a world away from the dreary grumble over The Sunrise by Victoria Hislop; The Lie Tree was a complete success and it gave our chats a really enthusiastic buzz. We’re a pretty diverse group in age and are a pretty even split when it comes to gender. I think that left to our own devices, we’d all have pretty different reading tastes too. All of us really liked The Lie Tree. It’s the only book that we’ve ever read that everybody enjoyed and that people only really had minor quibbles with. It doesn’t necessarily sound like something that will have universal appeal. It’s told from the perspective of Faith Sunderly, a teenage girl who is the daughter of a famous natural scientist. As the novel starts, Faith, her parents, younger brother and uncle are travelling to a remote British island so that her father can participate in an archaeological dig. When a tragedy befalls the family, Faith needs to uncover the mysteries of the Lie Tree, a plant that seems to feed on lies and respond with fruits that reveal the truth. The only gripe that some readers had (me included) is that there’s an event that’s disclosed in the blurb and openly discussed in a lot of reviews that actually doesn’t happen until about half way through the story. If you haven’t really read the blurb yet, I’d recommend just picking up the book and giving it a go. I’m almost certain that you’ll enjoy it more than if you know what’s coming. Knowing what’s coming gives the beginning a bit of a feeling of filler or of just being elaborate set-up, which is a shame because the writing and character development is otherwise excellent and deserves better than that. A lot of readers (not me included this time!) 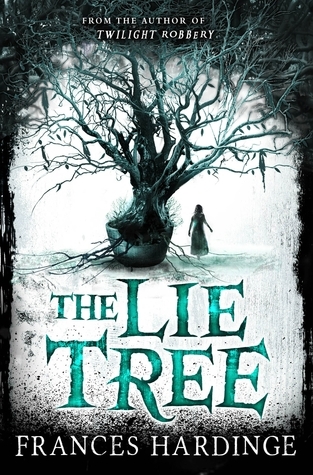 didn’t have much experience in reading books aimed at younger readers and expressed surprise at how well written The Lie Tree was. I wasn’t surprised by the writing but I was impressed by how solid the historical elements felt. The concerns within the religious community about the apparent discovery of fossils proving evolution and Darwin’s recently published ‘outlandish’ theories and the plight of women at the time and what they had to resort to to have their voices heard in the world of natural science were both very well handled within the story and everybody enjoyed the mixing of historical detail with a real page-turner of a mystery. So to sum up: The Lie Tree is a great read. If you’ve managed not to hear much about the story yet, I can absolutely recommend it as something that has appeal for a really diverse range of readers. It’s magical realism but it doesn’t feel unrealistic; it just seems to work. Big thumbs up from my whole book club. Obviously I’m excited this. 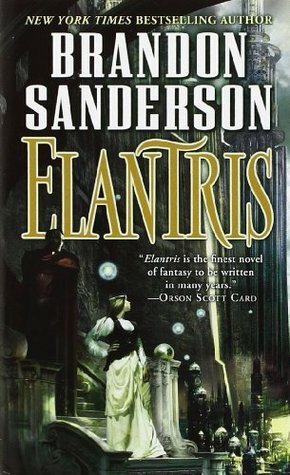 I’m both a big fantasy fan and a big Brandon Sanderson fan. I didn’t even have to suggest this; it was volunteered by someone who’d been bought another of Sanderson’s books for Christmas and really enjoyed it and thought that the group could do with trying something a little different. May will actually be my last hurrah because I’m then changing jobs and will be working 22 miles away in a different location so I’m really looking forward to hopefully getting some people into fantasy before I go!